Frog Spear 5-Tine With Barbs | BUDK.com - Knives & Swords At The Lowest Prices! 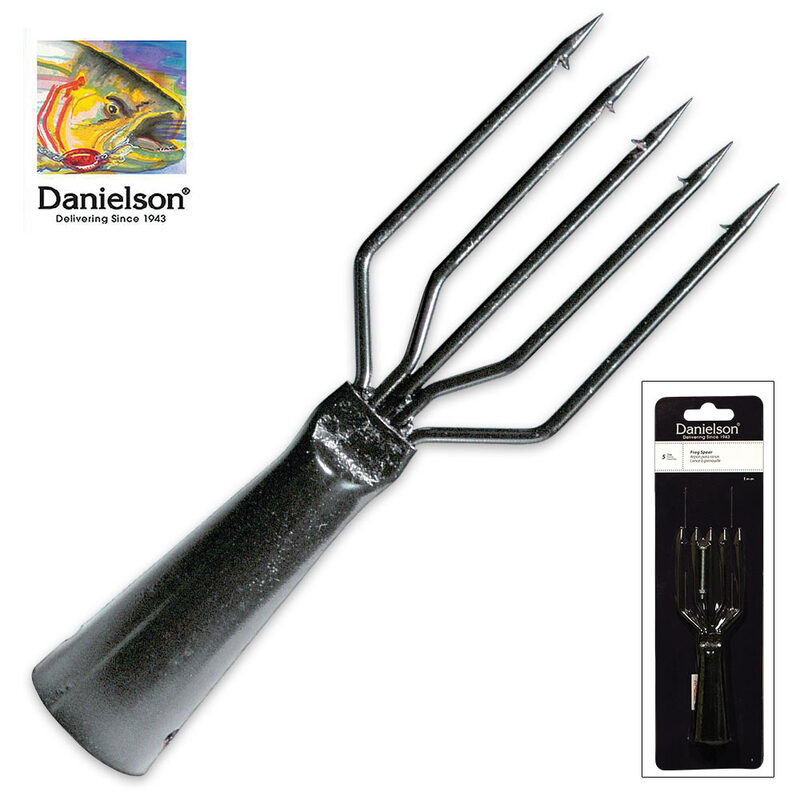 When you’re out on the boat and frogs are your target, this frog spear has five needle sharp points and strong cut barbs that won’t let you down! Constructed of tempered steel, it is finished in black enamel to guard against corrosion. It also has a drilled ferrule for mounting it to your spear shaft.